It’s nowhere near done, but I’m making progress. Wow – your picture is coming right along! Yep, still a lot of work to do though. 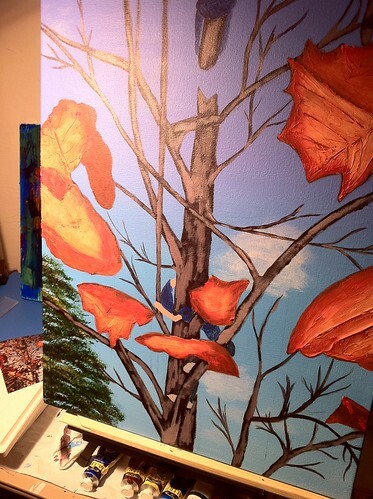 Many more branches to add, more leaves, and I still need to work on the colors in the existing leaves.